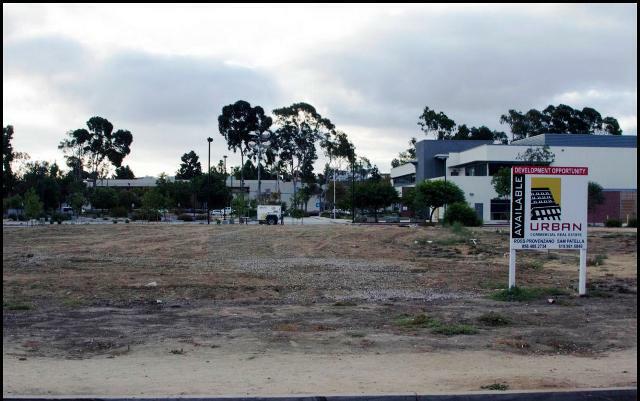 Midway residents and business owners have long wondered what the future holds for two of the juiciest pieces of available property in the neighborhood: the bare two-acre lot adjacent to the West City Continuing Education Campus of the San Diego Community College; and the long-vacant former Cabrillo Hospital building. The community college district property has been empty for five years. It was left over and declared surplus after the 2009 construction of a new campus at 3249 Fordham St.That same year, Sharp Cabrillo Skilled Nursing Center departed the four-decade-old, 10-story building at 3455 Kenyon St., a stone’s throw from the West City campus. The community learned about two projects that could bring about big changes in population and demographics at the monthly meeting of the Midway Community Planning Group Nov. 19. For several years, EF Language School has been sizing up Cabrillo Hospital as a potential site where students from 70 countries could learn English and absorb American culture. The school last month applied for a conditional-use permit to change the hospital to a campus and dormitory, said Shawna Sullivan, the school’s director of permitting. The school, which has 500 offices and schools in 53 countries, has reached an agreement to buy the building and surrounding 6.35 acres from the owner, Sullivan said.“We’re eager to turn that vacant, blighted site into an international language school,” she said. If conditions are ideal, construction will begin next summer and the school will open in June of 2016. Students mostly between the ages of 18 and 26 would attend for terms that range from two weeks to nine months, with three months being the average. “They experience American culture while learning English, then return to their home countries and advance their careers, Sullivan said. Most of the former hospital would be turned into student housing – with up to 600 students in the upper floors. The lower floors would be retained for classrooms, offices and cafeteria uses, she said. As many as 1,500 students could attend in the peak summer months. Many would stay in host families within a 30-minute commute by bus, bike, foot or skateboard. Host families are not compensated for driving students and only an estimated three percent of enrollees would own or rent a car, Sullivan said. Board members seemed skeptical, but Sullivan said even at the school’s current San Diego campus – a 200-student facility leased from Alliant University in Scripps Ranch – few use cars. “These students are not expected to drive. It seems foreign to us, but that’s what they’re used to,” she said. With fewer cars needed, the western asphalt edge of the property becomes available for conversion from parking to recreational facilities: a turf soccer field, two sand volleyball courts and outdoor swimming pool. Ways to allow community use will be explored, Sullivan said. Concerns about noise and lighting at the recreational fields have been expressed by residents on the adjacent Cabrillo Bay Lane, Sullivan acknowledged. The fields will be open until “9 or 10 p.m. at the latest” and lighting will be minimized, she said. “We have a commitment to work with them on a final site plan that will work with everyone. We’re going to own, develop and occupy this site and plan to be there forever,” she said. The deal does not include ownership of an adjacent medical supply building to the east, which would maintain a shared-use agreement with the school for parking, Sullivan said. A block to the northwest, plans for an 80-unit apartment complex are in development, Russ Murfey of Veritas Urban Properties confirmed. Veritas, which was awarded a 99-year lease on the property last summer, specializes in pedestrian-oriented, urban-infill development, Murfey said. He said the company had no renderings of the apartment yet but that two local multi-use projects– The Point at Ingraham in Pacific Beach and Famosa Townhomes at the corner of Voltaire Street and Catalina Boulevard – would serve as examples of the company’s accomplishments. “Just look at some of our other projects. We’re local guys and we want to work with the community,” he said. Unlike the other multi-use developments, the building at the corner of Kenyon and Kempton streets will be pure residential, Murfey said. A small amount of commercial use was considered but rejected because the prospects for success were “not overwhelming,” he said. Murfey characterized the apartment as “moderately dense,” with a mix of one- and two-bedroom units. Since the Community College District retains ownership, the units may not be converted to condos, he said.There were no estimates offered on when the apartments would be built nor how much rent would be charged. What a joke. The Famosa townhomes do not work with the community that they’re in. The vacant lot looked much better than the monstrosity on that corner. OK, I have looked ! The “complex” on the corner of Voltaire and Catalina must be one of the ugliest in Point Loma. 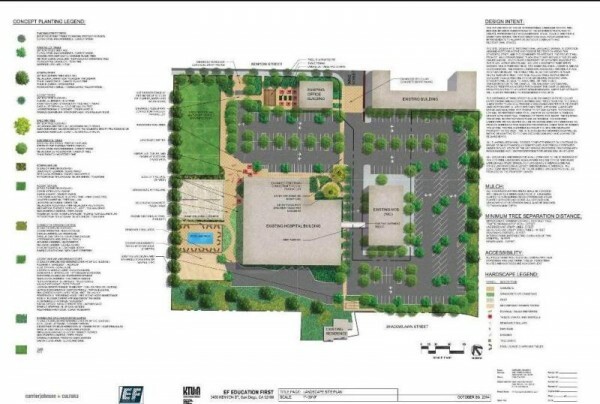 OB gets the Tasting Rooms, Point Loma gets the hideous apartment complexes –HELP !!!! !